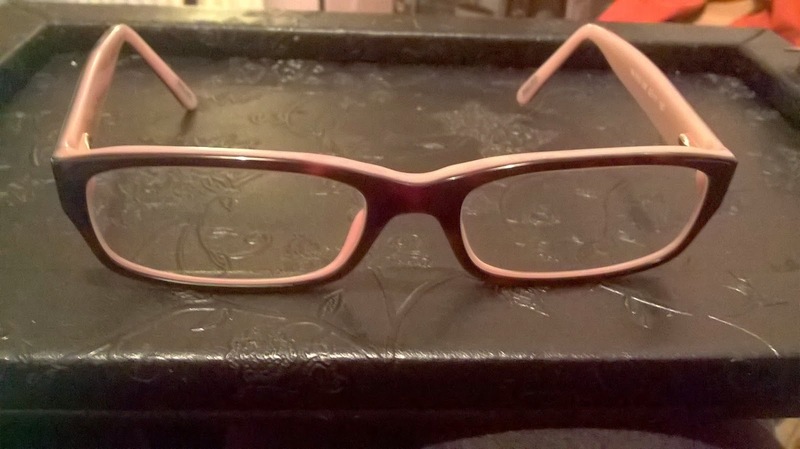 About a month ago I did a post on getting new glasses. When I went to the opticians the pair of glasses, I selected are not the pair glasses I mentioned on my blog posted Glasses necessary, but not enough choice. 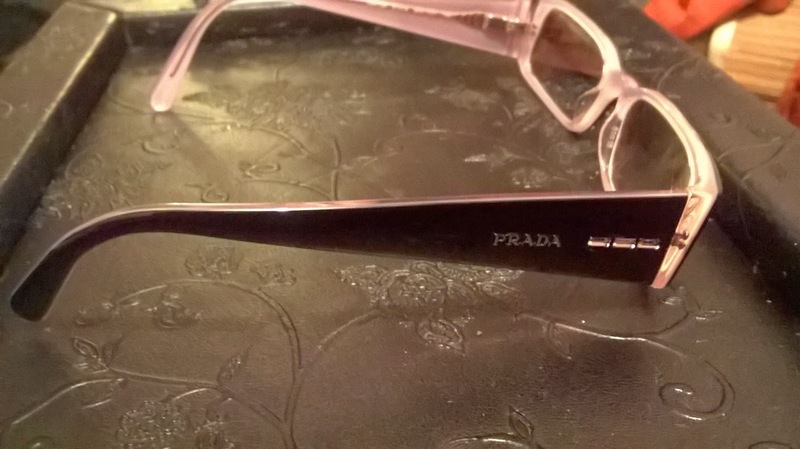 These are my favorite pair by Prada, I usually buy Prada frames as they are simple and classically designed. 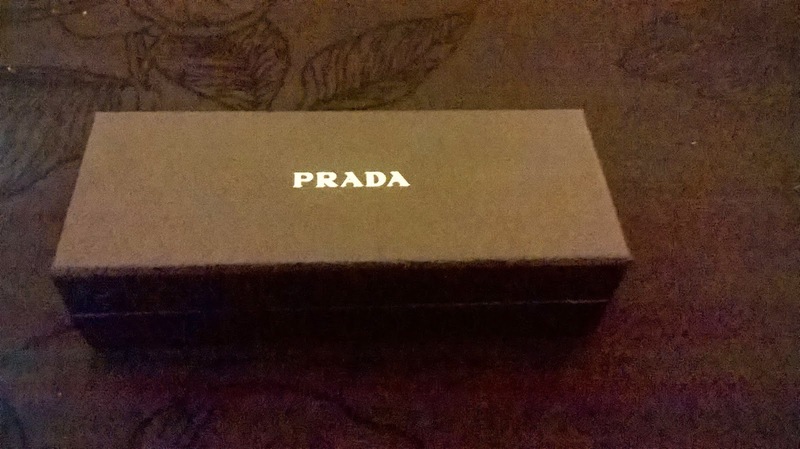 The glass case came in this mock crocodile box . 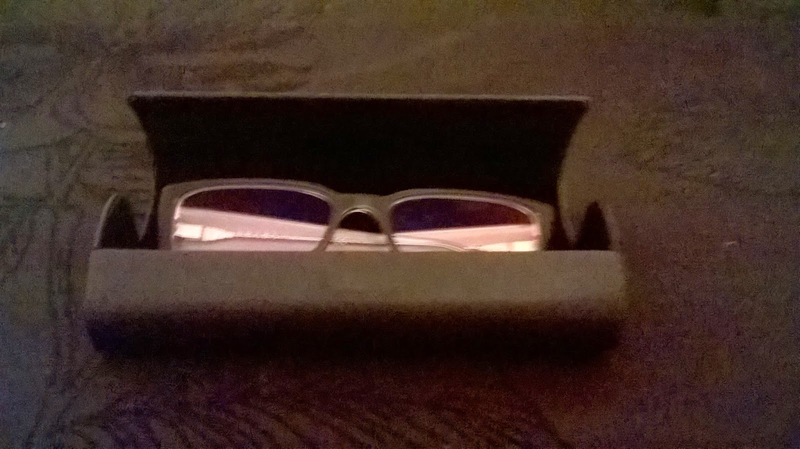 These are my new glasses in the slimline glass case. 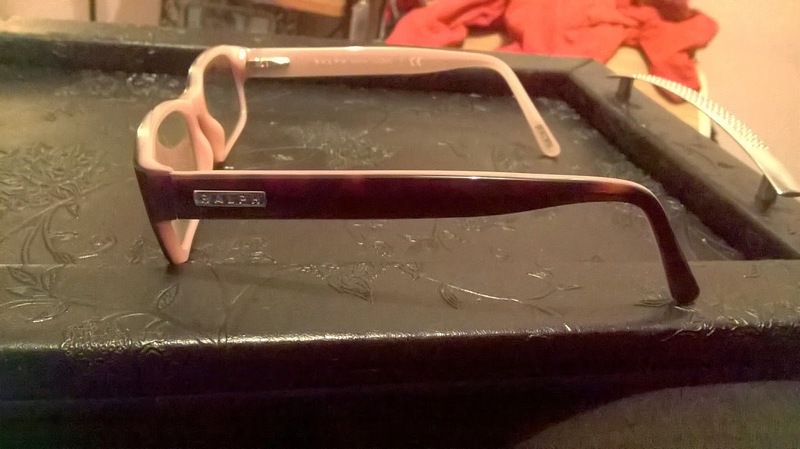 These are the side view of glasses, I love these with pink contrast with the black, I love the Prada name and the pink mirror detail. 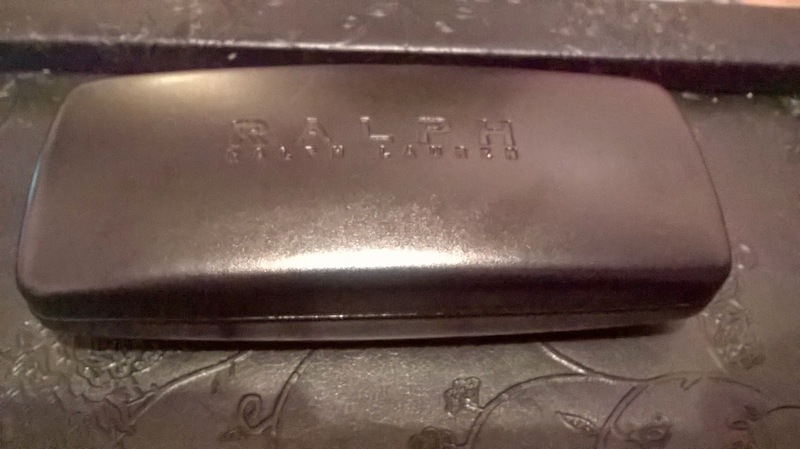 These are my second pair of glasses the Ralph Laren pair I tend mainly use these as the were cheapest pair .